cell freeware for Symbian s60 3rd and 5th edition. Free software downloads for Symbian Nokia phones. 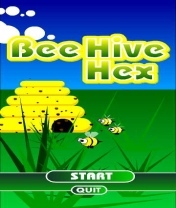 � Summary: Bee Hive Hex Game is a simple little bee game for Symbian s60 5th edition mobiles. � Summary: Have some fun in the kitchen with your children. � Summary: www.CellSpotting.com is a global location based service for mobile (GSM and UMTS) users. � Summary: A virtual keyboard for Symbian OS Series 60 based devices. This application is designed to simplify and speed up the text typing process.